After facing near-extinction, mountain gorillas are slowly rebounding. On Wednesday, the Switzerland-based International Union for Conservation of Nature updated mountain gorillas’ status from “critically endangered” to “endangered,” a more promising, if still precarious, designation. There are now just over 1,000 of the animals in the wild, up from an estimated population of 680 a decade ago. A group of mountain gorillas in Rwanda’s Volcanoes National Park in 2014. 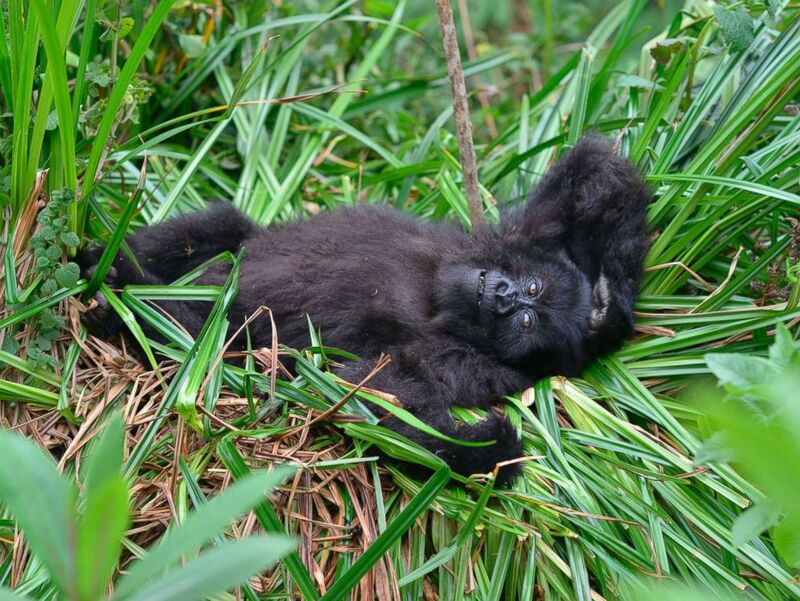 A young mountain gorillas named Fasha, who has faced a number of challenges in her young life, including having been caught in a snare in the past, lies in the grass in Rwanda’s Volcanoes National Park in 2016. “We have made progress in terms of their protection, in terms of allowing an environment where mountain gorillas can continue to thrive and grow,” said Anna Behm Masozera, director of the International Gorilla Conservation Program, based in Kigali, Rwanda. “But it’s important to note that mountain gorillas’ numbers could still slip back very quickly. We still have just two fragile and small populations,” split between two national park areas. Several factors have enabled mountain gorillas’ modest rebound, said Masozera. “It’s a total conservation win, and there aren’t that many of them,” said Gilardi. On Wednesday, the IUCN also announced that bans on commercial whaling in the North Pacific Ocean and elsewhere had allowed some whale populations to rebound. The fin whale’s status was updated from “endangered” to “vulnerable,” a less critical designation.